Axel is the interim vice president of research at KAPSARC. He also leads the Energy and Macroeconomics program and has a special interest in applied research combining methodological innovation and practical relevance for policymaking. 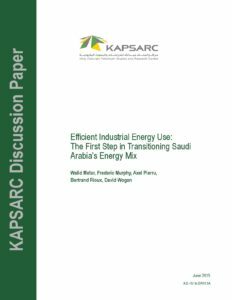 He joined KAPSARC in 2011, after spending 15 years at IFP Energies Nouvelles in France where he led research, consulting and training projects. Axel received his Ph.D. in Economics from Pantheon-Sorbonne University in Paris. 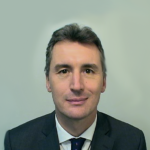 His research focus is on energy economics and policy, corporate finance, and oil pricing. He has published more than 30 papers in peer-reviewed journals. 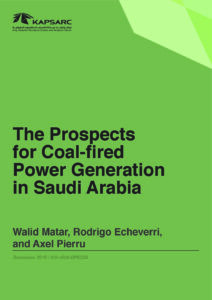 Saudi Arabia plans to reform and privatize its power generation sector as part of the Kingdom’s Vision 2030. 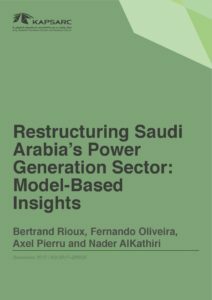 To provide analytical insights, we developed a model that simulates the restructuring of the electricity market, along with reforming fuel prices to an energy equivalent of $3/MMBtu. 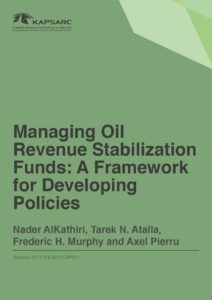 Oil revenue stabilization funds provide short-run protection against oil revenue fluctuations – in the way that Saudi government deposits and reserve at the Saudi Arabian Monetary Authority (SAMA) have historically served as a buffer to decouple government budget from oil revenue fluctuations. 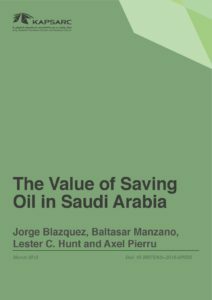 By contrast, sovereign wealth funds create income for future generations to replace revenue streams from depletable resources – one of the purposes of Saudi Arabia’s Public Investment Fund. 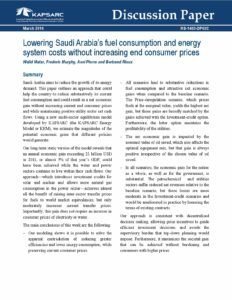 We developed a framework for optimizing policies for adding to and withdrawing from stabilization funds, which we apply to Saudi Arabia as a case study based on publicly available data. 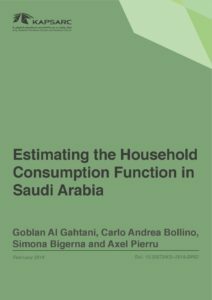 The quantitative results are sensitive to the specific assumptions on the likelihood of particular oil prices arising but the overall results are robust to a wide range of assumptions. When energy sectors transition from government-controlled to market-driven systems, the legacy regulatory instruments can create unintended market distortions and lead to higher costs. 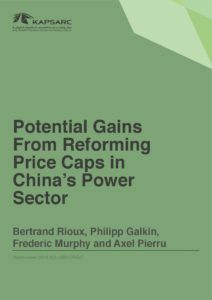 In China, the most notable regulatory throwback is ceilings on electricity prices that generators can charge utilities, which are specified by plant type and region. 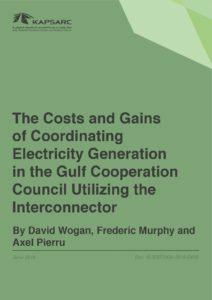 We built a mixed complementarity model calibrated to 2012 data to examine the impact of these price caps on the electricity and coal sectors. China’s coal industry grew at unprecedented rates during the first decade of the 2000s in order to support equally unprecedented economic growth. In that type of environment, it is impossible for the capacities of every link in the supply chain to be correctly sized all the time. 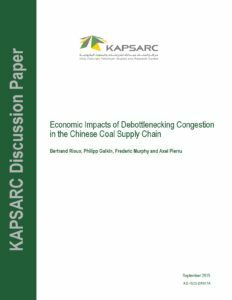 In order to understand the consequences of such mismatches, KAPSARC has developed a production and multi modal transshipment model of China’s domestic coal market, calibrated to 2011 data. This allows us to examine what the global and domestic consequences might have been had the bottlenecks not existed in 2011. The discipline of microeconomics focuses on the outcomes of the actions of economic agents, where economic agents can be individuals as producers and consumers or organizations that deliver goods or services. Microeconomists have developed a collection of models to understand and represent these behaviors. Mixed Complementarity Problems (MCPs) are among the most recent such models. 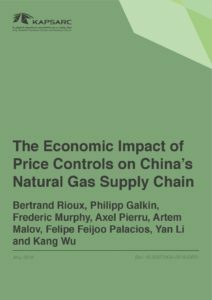 This paper addresses the community of energy economists who are not necessarily focused on modeling but want to know more about current methods for representing economic equilibria. 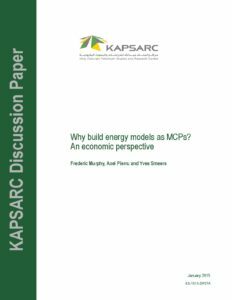 We describe in non-mathematical terms the advantages of using MCPs over other representations of markets and how to decide when they should be preferred to a more traditional (and possibly simpler) optimization approach such as linear programming.